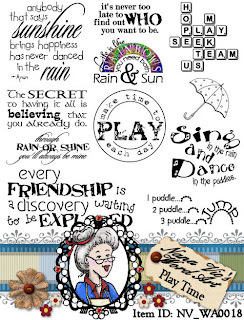 Description:10 sentiments perfect for out door play time, for any age. 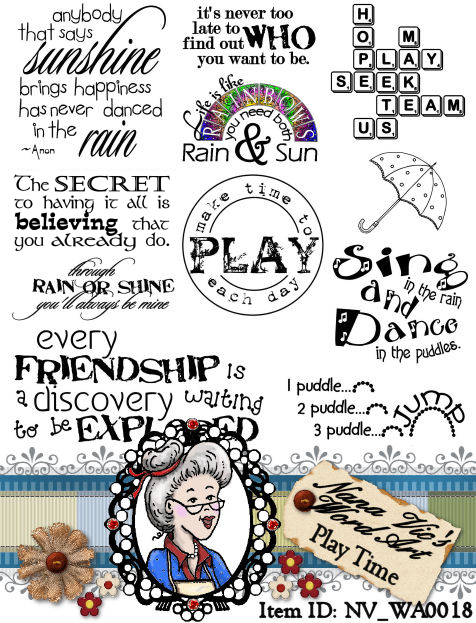 Summer showers, rainbows and sunshine is the flavour of this fun word art sheet. Use the word art on your scrapbooking, card making or country crafting projects. Bonus digital is an fun dotted umbrella. Update: Individual files now included!